San Diego, CA is known for its beaches, incredible climate, and laid-back atmosphere. It’s also one of the most congested cities in the nation. Drivers log more than 12 million miles a day on San Diego roads. Unfortunately, commuters spend up to 56 hours just sitting in traffic every year? Why? Accidents are incredibly common and road conditions make it nearly impossible for traffic to flow smoothly. San Diego lawmakers know that the city’s roads, bridges, and transit systems are deteriorating. They also know that poor infrastructure contributes to a significant number of car accidents every year. These issues must be addressed before San Diego roads can be safe. For years, the number of injury-causing and fatal car accidents in San Diego was on the decline. Things are changing. Accidents are becoming more common on San Diego roads. In 2016, there were 21,534 car accidents in San Diego County, an increase of 5 percent from the prior year. Statistics reveal that car accidents aren’t happening more frequently. They’re also getting more violent. Between 2015 and 2016, the number of fatal crashes in the state surged by more than 7 percent. A surge in dangerous driving behaviors. The city of San Diego has acknowledged that its roads are dangerous. It has pledged to study the problem and find ways to make its roads safer for residents, tourists, and commuters. Infrastructure can be defined to include roads, bridges, tunnels, transit, and other physical structures that allow a city to operate. When a city’s infrastructure is in poor condition, travel can be incredibly unsafe. Every year, various organizations analyze the condition of infrastructure in cities and states across the country. In recent years, California and San Diego have not received high praise. In fact, California’s roads are regularly described as some of the worst in the nation. California’s low grades are thanks, in part, to crumbling roads and bridges in heavily-populated urban areas like San Diego. US News & World Report surveys the conditions of roads, bridges, public transit, and commute time in all 50 states. In its most recent report, the study suggested that half of all roads in California were in poor condition. In fact, only one state ranked lower for road quality. In San Diego, potholes, sinkholes, dangerous road design, uneven pavement, and flooding attributed to the poor marks. Every four years, the American Society of Civil Engineers (ASCE) releases a thorough evaluation of the state of infrastructure across the nation. In its most recent report, it revealed that California and San Diego roads were well below average. The state received a “D” for the state and condition of its roads. The state’s dangerous road conditions are increasingly responsible for congestion, delays, and accidents. San Diego has a complex infrastructure system. According to the ASCE report, roads may not be the most dangerous aspect of this system. Bridges in San Diego and across the state are particularly problematic. In fact, no state has more bridges that are in “poor condition” and “functionally obsolete” than California. Bridges along the I-5 corridor in San Diego were singled out in the analysis. Infrastructure in San Diego is begging for repairs. There’s never been a greater need for drivers to use care and caution behind the wheel. Unfortunately, the recent surge in accidents across the city is attributable, in part, to an increase in dangerous driving practices. Speeding: No one likes to sit in traffic. Unfortunately, traffic in San Diego is often at a standstill. In order to make up for lost time, drivers ignore the speed limit and hit the gas. 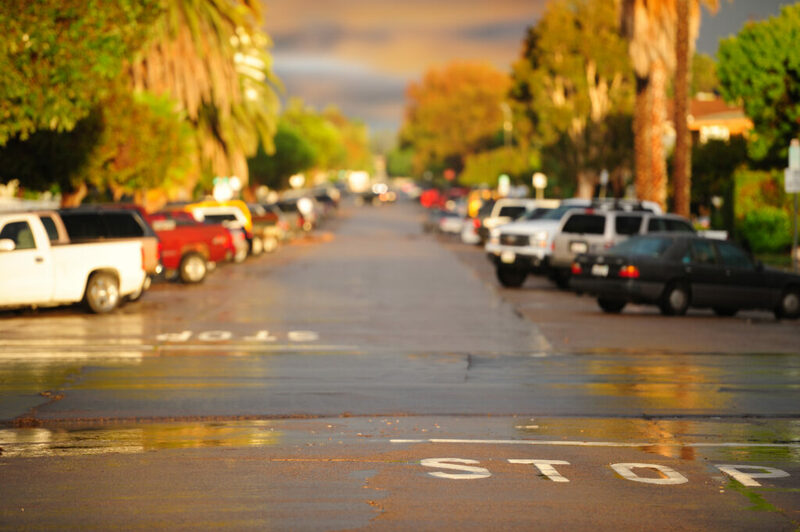 Speed is often a contributing factor in San Diego car accidents. Between 2015 and 2016, the number of speed-related accidents increased by 5 percent. Drunk Driving: Many fatal car accidents involve drunk drivers. In 2016, the number of fatal crashes involving an impaired driver surged by more than 16 percent from the year before. Drugged Driving: Americans are becoming increasingly dependent on legal and illegal drugs. Unfortunately, this doesn’t stop drivers from getting behind the wheel. Drugged driving has become a problem in San Diego. In 2016, one out of every five drivers killed in an accident had a drug of some sort in their system. Fatigued Driving: Many accidents in San Diego tend to happen after dark. Drivers are more likely to be under the influence and/or fatigued, which increases the likelihood of a crash. Between 2015 and 2016, the number of nighttime accidents in San Diego rose by 13 percent. Distracted Driving: The fact that San Diego roads aren’t in great shape means that drivers need to pay attention and do everything they can to avoid hazards. Unfortunately, distracted driving practices have gotten worse in recent years. When a driver is texting or checking their phone, they’re unable to see potholes or notice that a traffic signal isn’t working. As a result, drivers are being affected by avoidable hazards and dangerous road conditions. San Diego knows that its roads are putting residents, commuters, and tourists in harm’s way. Lawmakers have acknowledged that something must be done to make its roads safer. Over the past few years, the city has embraced initiatives to make real change. Fixing Dangerous Intersections: Many of San Diego’s most devastating accidents happen at or near heavily-traveled and poorly-designed intersections. To address the problem, lawmakers funded initiatives to identify and upgrade the “most accident-prone intersections.” By early 2019, the city announced that it had completed upgrades to 15 of its most dangerous crossroads. The city also allocated $2.45 million for improvements to 300 additional dangerous intersections. Funding Infrastructure Improvements: San Diego hasn’t just relied on independent surveys to understand the state of its roads and bridges. The city has also conducted internal studies to figure out how its roads are failing and how they can be fixed. It’s estimated that San Diego needs to spend at least $1.86 billion to “solve a host of infrastructure problems” across the city. City officials have pledged to find the funds to address the most pressing infrastructure issues. Fixing Stormwater Drainage: San Diego’s biggest problem actually lies beneath the surface of the road. Studies suggest that an inadequate stormwater drainage system is responsible for the city’s increasingly dangerous roads. For decades, the city has neglected stormwater infrastructure, which has resulted in sinkholes and dangerous flooding. Now lawmakers are trying to find the funds for emergency repair and maintenance costs. For more information about road safety in San Diego, CA or if you have been in an accident an need a personal injury lawyer, then contact Richard Morse at Injury Trial Lawyers, APC by visiting https://getinjuryanwers.com.